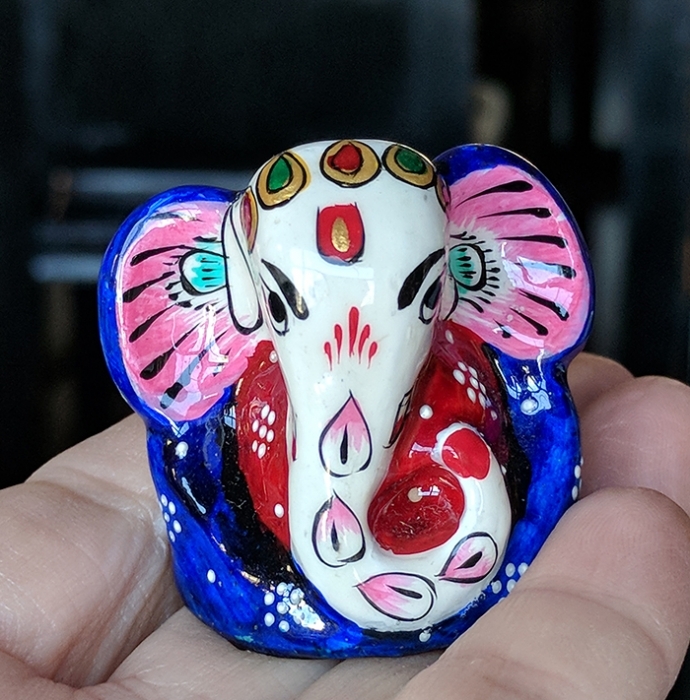 TINY ENAMEL GANESH was found during my first trip to India. 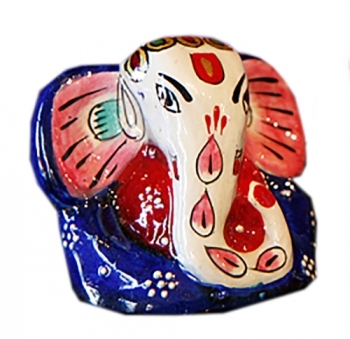 I was in a dusty trinket shop when I came across these adorable hand-painted enamel pieces. 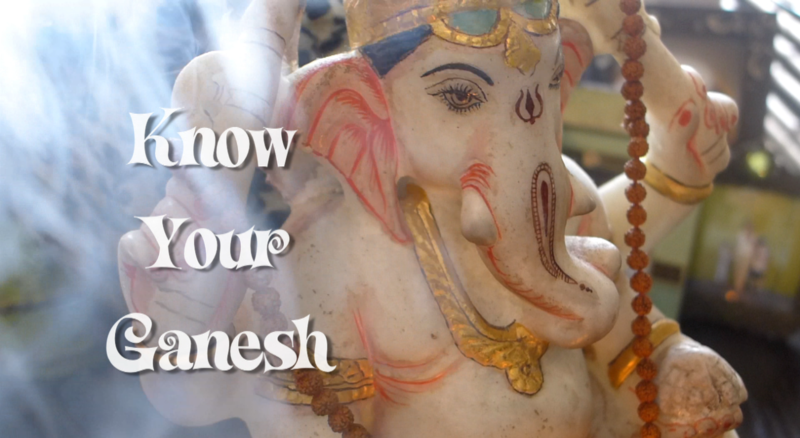 I had never seen enamel Ganesh and I had seen a lot of Ganesh on my travels throughout India. The curly trunk is what caught my eye. It brings good luck. Everything about Ganesh is good luck so if you don't have one already, this tiny artisan piece would be perfect at your desk or among your colectibles and meaningful spiritual objects.